Majid Al Futtaim, a leading shopping mall, communities, retail and leisure pioneer in the region, is set to launch its flagship community project - Tilal Al Ghaf - which offers community living crafted around people, in Dubai, UAE. With a vision to create ‘great moments for everyone, everyday’ at the heart of life, Tilal Al Ghaf is a mixed-use lifestyle destination that is set to elevate community living standards in the Mena region and stand among the best globally with Majid Al Futtaim’s integrated residential, commercial, retail, leisure and entertainment offerings. 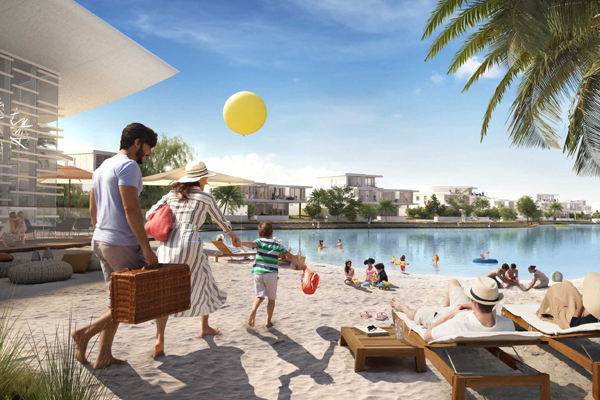 It will feature a selection of freehold residences, ranging from apartments, townhouses and bungalows, through to substantial luxury villas, intersecting with natural landscapes, said the statement from Majid Al Futtaim. Walkable neighbourhoods of high-quality homes will be blended with vibrant retail, dining, leisure and cultural precincts, offering places to live, work and play in an enticing setting that nurtures mind, body and soul. Extensive plantings of indigenous Ghaf trees will provide a sense of connection to the natural heritage of the UAE, symbolic of a place where families can lay down meaningful roots, it stated. Laid out across three million square metres in one of Dubai’s major residential growth corridors, the community is a phased project that will feature over 6,500 mid to upper-luxury homes upon completion in 2027. Landscaping will include around 400,000 sq m of open space, including the swimmable Lagoon Al Ghaf spanning over 70,000 sq m and 48,000 sq m water canal. Tilal Al Ghaf is the fourth community from Majid Al Futtaim, joining Al Zahia in Sharjah, UAE, Al Mouj Muscat in Oman, and Waterfront City in Lebanon.